Long polythene and cotton twill dust sheet for 100% paint and dust protection. 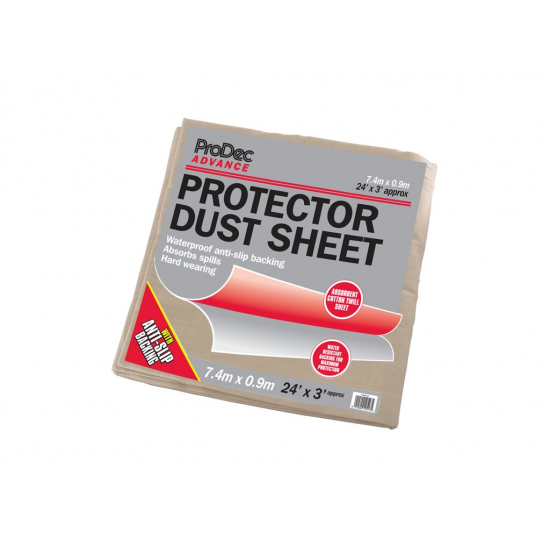 Protector 24Ft x 3Ft plastic backed combined with a light cotton twill top dustsheet provides total paint and dust protection. This twin ply dustsheet has all the benefits of a cotton dust sheet and polythene dust sheet combined. The cotton surface provides absorbency reducing the chance of 'walking off' a spill onto adjacent floor areas and provides dust absorbency whilst the plastic lamination stops penetration. 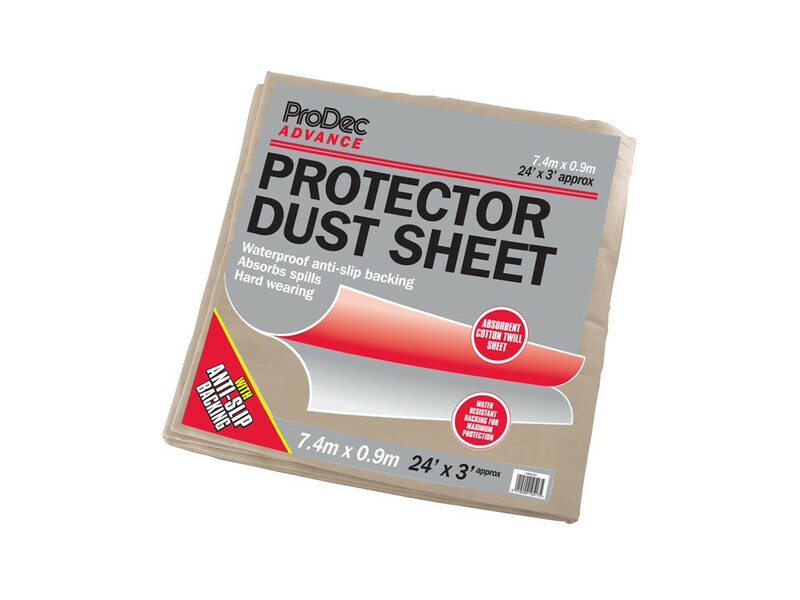 Large size dustsheet provides total property protection against heavy spills whilst decorating. Dustsheet overall size; 24ft x 3Ft OR 7.2m x 0.9m.